So now we’re ready to upload our latest and greatest video to YouTube, but in order for us to get the most traction from our efforts we need to understand the simple process of optimizing our video posts. The last thing we want to do is spend our time, money, and resources creating an amazing video, then after uploading watching it collect more dust than views. With that being said, in this video I’ll be giving you a comprehensive, step-by-step process that you can implement to take your video posts to the next level. So let’s get to it. Now anytime we post a video there are four key things we’re looking to do. 1.) Maximize discovery, which results in a larger audience and more views. 2.) Increase our audience retention, or how long a viewer stays on the video. 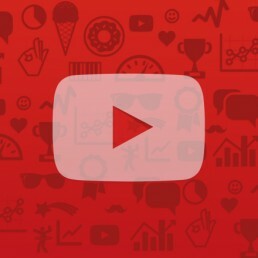 Audience retention plays a big part in how your video ranks in YouTube search. 3.) Drive viewer engagement, which could be a simple clicking of the thumbs up, subscribing, favoriting the video, leaving a comment or even sharing with their friends. 4.) Convert the viewer into a lead or even better yet, a customer. Something we all want more of. With YouTube being an incredibly entertaining place to be it can be easy to forget that it’s actually a search engine. As a business owner it’s important to keep in mind that YouTube is a powerful tool to help rapidly grow your business. This is why optimizing your posts is so important. So how do you optimize a video post on YouTube? Well there are five key elements that I’ll be covering in this article to maximize your post potential. Number one being Video Titles. What you name your video is one of the most important things to consider after creating the video itself. You’ve spent the time creating the video, the title is worth spending some time on as well. The video title and thumbnail are the first things that users come across. So the quality of each will have a direct effect on who clicks (or doesn’t). Now one of the most overlooked and underutilized things I see on a daily basis are lazy video descriptions, but no need to worry. This module will help you Master Video Descriptions Like A Pro. The third element to any good video post is Properly Tagging the Video. Tags are keywords or keyword phrases that get indexed by YouTube to help narrow down search results. They’re not as important as the video title or description, but still important none the less. YouTube also uses tags to group your video with other like videos when making recommendations to viewers with what they should watch next. Then I’ll explain the importance of using Custom Video Thumbnails and share some tips and techniques to creating the perfect thumbnail as well as show you some examples that I’ve hand selected for you. Finally, I’ll give you an overview of the Advanced Video Settings and show you how to save time by customizing your Upload Default Settings. So to start you’ll need to be logged into your YouTube account. I’m using a Mac, but these steps will be the same if you’re using a Windows machine. If you haven’t uploaded your video yet start by clicking the “Upload” button in the upper right hand corner of the screen. Next, you’ll have the option to go live or “public” with your video right away. You can also keep it “unlisted” which means it won’t be published publicly, but will be available to whoever has a direct link. Your last option is making it a private post, which restricts access to everyone unless they’ve been given access via designated email address. Now if you’ve been using YouTube for a while you might also have the option to schedule your video post for a later date. Which is exactly what it sounds like. I personally recommend uploading your new videos as “Unlisted” until you’ve finished optimizing the post and are confident that it’s ready for the world to see. With that being said I’ll select “unlisted” from the drop down options, then proceed by selecting the video I want to upload by either dragging it into the upload area or by clicking on the upload icon, then manually selecting the video. Depending on your internet speed or the video file size, it may take a few minutes for your video to upload and process. Now, If you’ve already uploaded a video, what I want you to do is click on your profile photo in the upper right hand corner, then click on “Creator Studio”, in the left column of the following page you’ll see a tab entitled “Video Manager”…click that, then find the video you want to optimize. Once you’ve found that video, click on the “Edit” button to the right of the video thumbnail. This will take you to where you need to be. Now that your video’s uploaded and ready to rock we can get to work. We’re going to start off by attacking the Video Title. YouTube will auto populate the title field with whatever you named the video file, but that’s unimportant. You can simply delete the characters in that field and start from scratch. Now depending on the type of video you create there are some basic guidelines to follow in order to achieve an effective title. 1.) Be aware of Title Character Limits. YouTube titles can be up to 100 characters, but YouTube search will only show 70 characters, and Google search will only show 55. That’s including spaces. So keeping your title short and to the point is important. 2.) Use YouTube search to find related keywords or keyword phrases for videos that people are looking for. For example, if your business specializes in manufacturing Laser Welders for the Mold Repair Industry you might be posting a video demonstrating what your product does. So you can go directly to the YouTube search bar and type in “Laser…Welding…Mold… Repair” and as you type each word a list of related results will show below the search bar. Based on those suggestions and the search results you’ll find what videos you’ll be competing with, which will allow you to make a more educated decision on what to name your video. 3.) Never use deceptive titles with the hope of getting more clicks. Deceptive titles will ruin your search engine ranking, stunt your channels growth, build a bad reputation for your business, crash your audience retention rates, and can even lead to YouTube deleting your channel entirely. Sure, naming your video “Justin Bieber Falls From Balcony” might get you clicks, but it won’t do you any good if the video is a tour of your new Yoga studio. Views only matter when the right people are watching your video. Keep that in mind. 4.) Straight Forward vs Click Bait. We have two main directions we can go with our video titles. We can be to the point with our video title or we can tease what’s in the video to get viewers curious. A great example would be choosing a title for a video about self-confidence in the dating world. You could title your video something like “How To Approach A Woman With Confidence” or you could use the popular list strategy and go with something along the lines of “5 Confidence Boosting Tricks That Women Can’t Resist”. The first title being straight to the point and descriptive and the second directly playing into the target viewers emotions and curiosity which will lead to them to clicking that link. Neither are right or wrong. It’s all a matter of personal preference and how you want your brand perceived. 5.) Don’t be afraid to experiment with your video titles. You can change the title of your video as many times as you’d like for as long as the video is on YouTube. Experiment using a variation of all CAPS, some caps, or even adding the occasional exclamation point or two. The point is, in order to find what works the best for you it’s a good practice to try out different things. Once you find what works best for what you’re doing….stick to it. So once you’ve determined what you want the title of your video to be go ahead and enter it in the video title box. For this demonstration I’ve uploaded a video tutorial on how to monetize your music using YouTube so I’ll title my video “Get Paid For Your Music Using YouTube”. Another thing I recommend is clicking “save changes” anytime you add or make changes to your videos information. With the video title taken care of we can now focus our attention on the video description. Time and time again I stumble upon amazing video content, usually cute cat videos, that fall into the dreaded “Lazy Video Description Pit Of Despair”. I don’t want any of you to become a victim so I’m going to walk you through the simple process of creating awesome video descriptions in very little time. Writing a quality video description is key to giving YouTube the information it needs about your video. YouTube cannot extract information from the video itself, so it depends on the information you write out (and how users interact with the video) to determine what it’s about so the more information you include, the better. Just don’t start filling the description box with spam. Now, In keeping with the theme of fives, there are five main things to do within the video description box. YouTube generously gives us 5,000 characters to use in the description box, but what we need to focus on most are the first two or three sentences. This is because YouTube and Google pull this information, along with the video title and thumbnail, to be used as meta-data for everything from Google search results to what shows up when we share our videos on social media. Some people suggest writing up to a 600 word video overview, but in my experience having a solid two or three sentence summary at the top of your description will give you nearly identical results. What I mean by solid is that you’ve incorporated some related keywords or keyword phrases within the first 2-3 sentences. The sentences should explain what the video is about in a way that gives the viewer an understanding of what they’re about to watch. Keep it human and don’t overthink it. The last thing you want your video description to sound like is a malfunctioning keyword robot that is in stage 3 panick mode. YouTube can see that from a mile away and isn’t a big fan. Well I’ll show you two examples of what the video description could look like and let you try and figure out which one would be the better option. If you guessed that “A” was the better option you would be correct and we can still be friends. Now I want to take a second to point out a Rookie Mistake that I want you to avoid at all costs. I recently had a student contact me to ask why his videos weren’t performing very well. He told me that he had followed these steps to the tee and couldn’t figure out where he went wrong. I asked him a few questions to make sure he understood the process and then with one sentence he unknowingly told me exactly what had gone wrong. He said “Adam, this video has 300,000 views and mine has less than 100 and I copied their video description word for word!”. I stopped him right there. Problem solved. Never under any circumstances copy another videos description word for word. YouTube and Google process that as copycat content and it will sabotage your videos chances for success. So be original. The next thing you want to incorporate into your video descriptions is linking out to external URL’s. This could be a link to your landing page, a product page, the homepage of your website, iTunes, or a specific blog post you’d like to promote. It could even be a direct download link to a piece of additional content such as an audio file or pdf. Always try to use the original link and resist the urge to use a link shortener in this section. Shortened links can register as possible spam and that could affect your search rank. Some people like to start their video descriptions with a link to an external URL, but I’ve personally found the best results by placing them right after my video description text. As I said with video titles, feel free to experiment and see what works best for you. What really matters is that both elements are included in the description box. The description box of a video is where you want to include purposeful Calls-To-Action. I say purposeful because the viewer isn’t going to spend a lot of time in the description box so you need to guide their decision making. A perfect example of this would be to include a direct link to something you mentioned in the video so that the viewer can check it out and learn more about whatever it is you’re suggesting to them. For example, if you make cooking videos on your channel you could include a link to the full recipe in the description box with a clear Call-To-Action such as “Click Here To Get This Recipe” then direct your viewers to the description box so that they can make their way to that content. You can also use a Call-To-Action with link to direct viewers to other videos you’ve created which may be related to what they’re currently watching. This works great if you’ve created a video series or want to promote the previous weeks video with every new video post. Another Call-To-Action that I recommend you make is asking your viewers to subscribe to your channel. Building your subscriber base is key to growing your YouTube channel. Think of it in the same way as building an email list. When someone subscribes to your YouTube channel they become the first to know when you upload a new video. In turn your subscribers become a loyal viewer base and as your channel statistics grow, each video you upload will have a greater chance of reaching more and more people. I suggest adding a direct link in the video description box with a straight-forward call-to-action such as “Subscribe To My Channel” followed by a link or “Click Here To Subscribe” also followed by a link. So now we’re ready to add your social links. This is a great way to make sure that people can easily connect with you outside of YouTube. Now I recommend only including social links to platforms that you’re most active on. When people are trying to connect with you the last thing they want is to follow an account that never gets used. Don’t feel like you have to include 15 different social links here. Viewers want to engage with you, so send them to where they can most easily do that. Include basic calls-to-action before each link such as “Follow Me On Twitter” followed by the direct link to your Twitter account. At this point your video description should be good to go. Double check that all of the links are working and that you don’t have any spelling or grammatical errors. With that being said we’re ready to add our video tags. Tagging your videos is an important step to optimizing your video posts. To reiterate, tags are keywords or keyword phrases that get indexed by YouTube to help narrow down search results. They’re not as important as the video title or description, but will still make a noticeable impact on the amount of traffic a video receives. YouTube only indexes the first ten keywords so there’s no reason to go overkill in this section. Coming up with tags is easy. Just think about how someone else would search for your video. What words or phrases would they use? Tags can be single words or entire phrases. Once you enter a tag simply hit the comma key to enter another. Be sure to include the most important tags at the beginning. With you video tags out of the way it’s time to talk about your video Thumbnail. So what is a thumbnail anyway? Well I’m glad you asked. Thumbnails are arguably the most important element to help get more clicks on your video. Think of them as a movie poster or the cover of a book. YouTube by default will give you three options to choose from to use as your main video thumbnail. These are usually horrible options because YouTube randomly chooses three stills from your video. One from early on in your video, one from somewhere in the middle, and one from the end. Luckily you have the option of uploading your very own Custom Thumbnail. ● Have a resolution of 1280×720 (with minimum width of 640 pixels). ● Be uploaded in image formats such as .JPG, .GIF, .BMP, or .PNG. ● Remain under the 2MB limit. ● Try to use a 16:9 aspect ratio as it’s the most used in YouTube players and previews. Ok, so when creating a custom thumbnail consider these three things. 1.) The thumbnail should visually draw attention to your video. Big and Bold thumbnails work well as well as adding a bright splash of color to them to stand out from the crowd even more. Stay away from using small text or poor quality images. Simple is better. 2.) It should spark some sort of emotional connection with the viewer. We want the viewer to be able to identify something significant about the thumbnail. This is why making the thumbnail incredibly easy to process is so important. 3.) Energy! It should excite the viewer to take action and click to watch. Maybe it’s a image of an exotic car, maybe it’s a image of an epic fail moment, or maybe it’s just a cute puppy photo. Whatever it is needs to relate to your video, but try to make it interesting. To better demonstrate what I’m talking about, I’m going to take a few moments to show you some great thumbnail images, and some not so great thumbnail images. Take inspiration from these thumbnails, but find a style that’s uniquely your own. Once you get comfortable creating your own custom thumbnails try to keep some sort of consistency between them. This could be done using a signature color, thumbnail frame, or even the image style. Doing this will help viewers recognize your videos and give them a signature look that will stand out from the crowd. So once you’re ready to upload your custom video thumbnail all you have to do is click “Custom Thumbnail” which will be located below the three suggested thumbnails, then select the image you want to use. To finish, simply click “save changes”. Ok, so we’ve given our video a title, worked our magic in the description box, added our tags and uploaded a custom video thumbnail. Now it’s time to get advanced, but don’t worry, it’s nothing to be afraid of. These are just a few extra settings that you should look over before going live with your video. To access the Advanced Settings simply click on the “Advanced Settings” tab which is located under the main video image as the far right option. In this section you can really customize the viewers experience with your video. You can manage comment settings, disable embedding, enable age restrictions, and add a video location just to name a few. The only option I want you to worry about on this page is the “Category” option. Ignore everything else for now. Click the drop down and select the category that suits your video the best. Once selected, click “save changes”. Congratulations! Your video is now officially optimized and ready for the world to see so let’s make it public. To do this, click back on the “basic info” tab from there, click the drop down menu on the right side and select “Public”. YouTube also gives you the option to write a short message announcing your video and share it directly to social media, but I suggest doing that yourself so you can better tailor your promotional message for each social platform. Once you’ve selected “Public” and are ready to take your video live confirm by clicking “save changes”. Now before I send you to the next module I want to share a time saving technique that you can implement very quickly. This involves the “Upload Defaults” settings which can be found by clicking “Channel” in the “Creator Studio” menu on the left hand side of the screen, then clicking “Upload Defaults”. From here you can customize the settings for when you upload future videos. I personally recommend changing the Privacy default to “unlisted”, selecting the most common category of videos you’ll be uploading, and also adding your Call-To-Action to subscribe with link…and your social links in the description box. This way you won’t have to manually add that information every time you upload a new video. Now like everything else when you’re finished just click “save” and you’re all set.